This cute balloon valentine, full of candy and other treats, is a cute idea for a Valentine's Day party favor. Probably not for a school party though, considering it involves a pointy object and balloon popping. 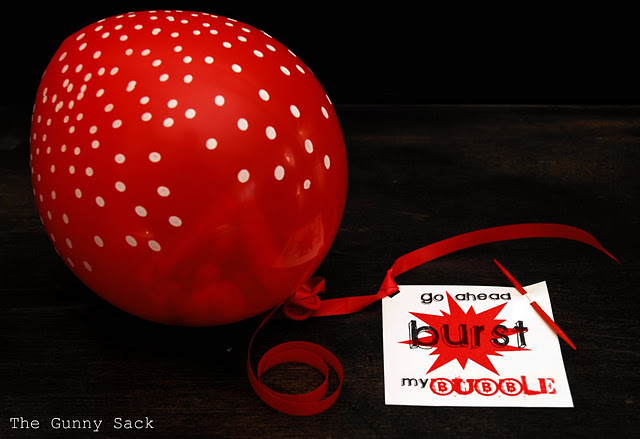 You can get the printables for these balloon valentines, with two different Valentine's Day phrases, at The Gunny Sack.